The Novotel Clermont Ferrand hotel team welcomes you to the Auvergne. 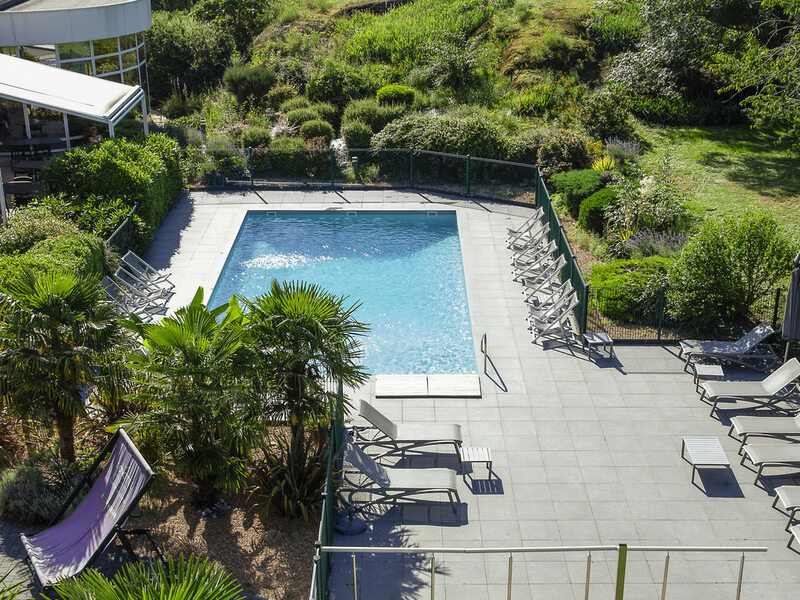 Enjoy our convenient location between the airport and the city, the perfect base for exploring the Parc des Volcans, or visiting the Puy de Dôme volcano and enjoying its panoramic view. Experience the charm of Auvergne at Novotel de Clermont-Ferrand hotel. Just five minutes from the airport, the hotel has eight meeting rooms that are perfect for your seminars and private events. Enjoy a sports and relaxation getaway with table tennis, pétanque, fitness trail, swimming pool and fitness suite. Pamper yourself in the hammam or whirlpool baths, while the web corner and playground will keep the youngsters entertained. There is so much to do at Novotel. Near the Auvergne volcanoes, the hotel offers quick access to the recently registered UNESCO World Heritage Limagne fault, where many activities will be offered: ballooning, hiking, paragliding, golf. Spacious, contemporary design and adaptable, the Novotel room is truly a place for living. Perfect for all your needs. All 136 rooms at the hotel are fully-equipped to best meet the needs of both families and business guests: free WIFI, minibar, tea and coffee making facilities, safe, flat screen TV (beIN SPORTS channels), air conditioning and more. Quick, simple and hearty cuisine. Regional dishes, wine and cheese from Auvergne. Restaurant opens onto the terrace and pool. Service on the terrace in summer. Daily tab, set and a la carte menus. Located right in the heart of the hotel, the bar is the perfect meeting place for work or relaxation: piano, board games, cocktails, service on the terrace.